The Board of Appeals for the Town of Hempstead will be holding a public hearing on Wednesday concerning a petition from Crocus Lane Estates and Josato to rezone Levittown property on the former location of the Long Island Motor Parkway and Vanderbilt Cup Race grandstand and press box. Petition of CROCUS LANE ESTATES, LLC and JOSATO, INC. to rezone from “LPRD” District to “Residence C-A” District – LEVITTOWN - w/of Crocus La., 115’ n/of Orchid Rd. The public meeting will be held at the Hempstead Town Hall, One Washington Street beginning at 10:30 AM. I encouraged all involved people to attend the meeting and express their opinions. The Town of Hempstead will hold a hearing on the Crocus Lane project on Wednesday, Oct. 3, 10:30 a.m. at Town Meeting Pavilion, 1 Washington St., Hempstead. The zoning that is being sought from the town board would change the current single-family zoning (LRPD) to condominium/multi-family zoning (CA) for the Crocus Lane site. The proposed 46-unit housing development would be located on an empty parcel of land located alongside the Long Island Motor Parkway in Levittown, which closed in 1938. The housing site would also include 117 street parking spaces, but the developers need a variance as the zoning code requires 133 spaces. According to the plans presented by attorney William Cohn, the 46-unit estate will stand at 27.5 feet and offer one and two bedroom condominiums for less than $300,000. Fire Inspector Owen Magee led the discussion Monday evening. ... Magee told the board that he will be representing the Levittown Fire Department at next week's Board of Zoning Appeals hearing on the controversial proposal for condominium units at the vacant Crocus Lane estate. After seeing a drawing of the proposal, Magee said the department is concerned that there is no way to enter through the rear of the property and want to urge the builders to install sprinklers. "We have not been contacted by the builders as to what their intentions are," he said. "We want to just get our point of view out there so if anything goes wrong, no one can point a finger at us. We want to make our voice heard." "The fire department is not going to take a stand for or against this," Magee added. "That's not our job, but the citizens of Levittown, the people most affected by it and its traffic." The Crocus Lane hearing will take place next Wednesday, Oct. 3 in front of the Board of the Town of Hempstead. The use of the land at Crocus Avenue cross section over the past 100 years is as varied as the present day opinions about the proposed use by Josato, Inc. company (formerly Terra Homes, Inc.). On Wednesday, Oct. 3 Josato will petition the Town of Hempstead Board to rezone the historic Long Island Motor Parkway property, the location of the Vanderbilt Cup Race grandstand and press box during the races held from 1904 to 1910. Josato is proposing to build a 50-unit condominium complex. “Once more the Josato, Inc. company (formerly Terra Homes, Inc.) is petitioning the Town of Hempstead Board of Zoning Appeals for variances necessary to build homes in two sections of the Vanderbilt Motor Parkway in Levittown. 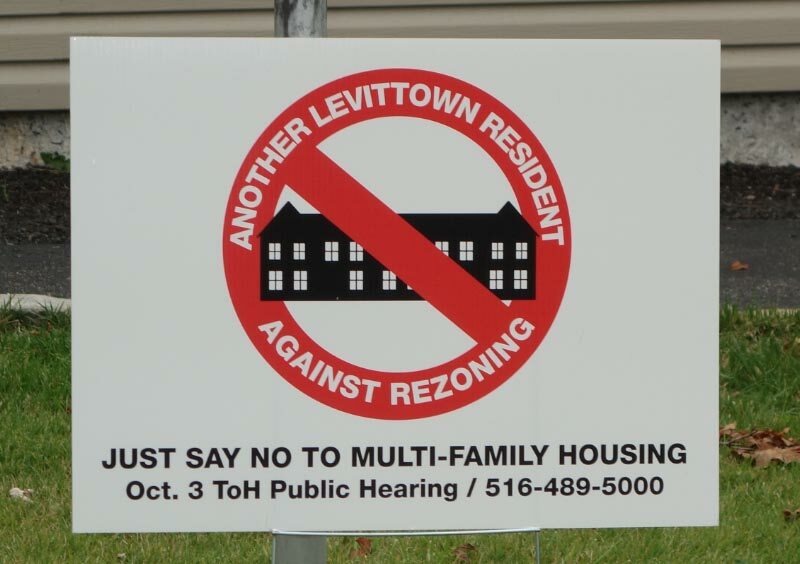 Once more, since 1984, the Levittown Property Owners Association (LPOA) is again defending the integrity of Levittown’s unique zoning ordinance, Article XV, the Levittown Planned Residence District (LPRD) that is part of the Building Zone Ordinance of the Town of Hempstead. 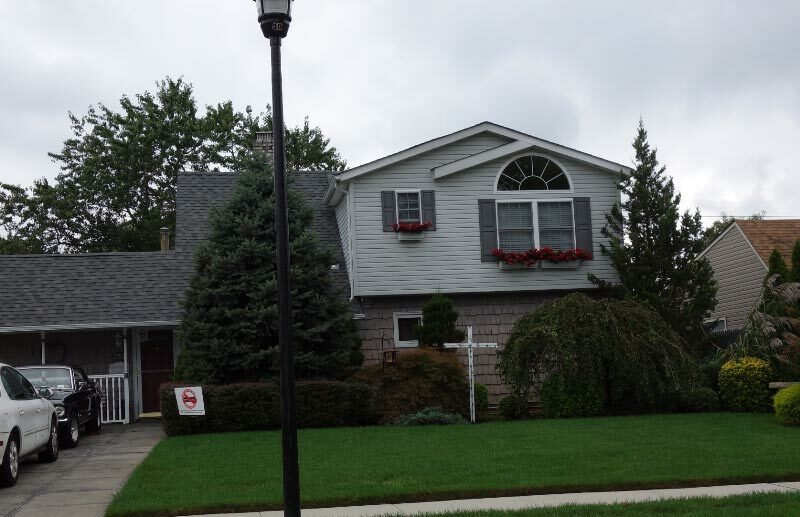 “Levittown is the only unincorporated village in the Town of Hempstead with its own zoning. It was created at the request of over 1,000 Levittown petitioners to replace the expired 25-year covenants of William Levitt in December 1975. Its purpose was to protect this historic planned community from indiscriminate over-development and assure its amenities. “Terra Homes, Inc./Josato, Inc., has applied for variances for substandard lots (as specified in the LPRD) using substandard roads repeatedly. They have been repeatedly denied variances by the Nassau County Planning Commission, the Town of Hempstead Board of Zoning Appeals and the state’s highest courts. “The width of the two parcels is 135 feet; the required lot depth for Levittown homes is 100 feet, the state mandated road width is 50 feet. The developer lacks 15 feet. “The latest application is to create lots of 85 feet with a road width of 50 feet. In the past, variances were denied for 95 feet lots served by a 40 feet road. The above is only a portion of the letter published in the Tribune; the complete text of Rus’s editorial can be viewed at: http://www.antonnews.com/levittowntribune.html/. Morrow said, “We cannot keep putting this demand on the aquifer.” He said if the high-density properties were built, the area’s water supply would suffer. Morrow told the Tribune, that in general, LPOA and its members oppose the development because, “Levittown is an historic community and we are celebrating the veterans of WWII and all future wars; it will destroy Levittown.” He has served as LPOA president for 43 years. Cohn has been involved, representing Josato for several years. He confirms that the owners of Terra Homes, also operate under the company name of Josato, Inc.. He told the Tribune that all permits and usage proposals have been vetted by all required agencies, including the building and planning departments, the engineering and highway departments, and conservation and waterways departments. Cohn said, “From an environmental standpoint, there are no issues.” He said, assuming the grant application is approved, they will proceed with the development of the property. He said if it is not approved they will submit a different application for the property with a different use at a later date. “It’s not realistic for anyone to expect this property to be fallow forever. Someone should not have to pay real estate taxes on it and not be permitted to use it,” Cohn said, adding that Nassau County allegedly made inquiries to purchase the property from Josato, but the attempts were unsuccessful. Cohn told the Tribune that a great deal of pains have been taken to ensure that the housing proposed is compatible with the surrounding area. He said, “There’s a further benefit to be derived from the development.” He said the property has been a haven for teens to gather and party, a negative impact for the nearby property owners and the enjoyment of their own homes. Cohn is confident that building a complex for seniors will bring a great improvement to the area. The next Town of Hempstead public board meeting will be held on Wednesday Oct. 3 at 10:30 a.m. at the Nathan L.H. Bennett Pavilion in Town Hall Plaza at One Washington Street in Hempstead. The agenda will be posted on the Friday prior to the meeting at http://townofhempstead.org. On the agenda is the hearing about the property on Crocus Lane in Levittown; the original hearing on Sept. 4 was postponed. 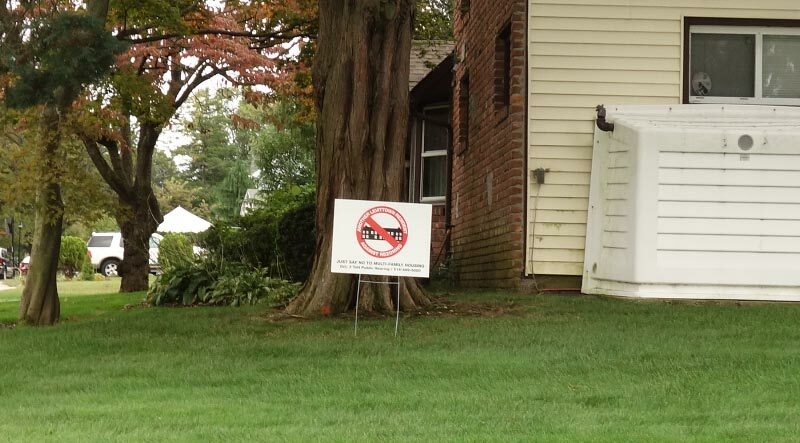 The Levittown Tribune welcomes letters to the editor about the issues affecting this property and the adjacent properties. • Proposed development would adversely affect character of neighborhood made up of single-family homes. It would potentially lead to destruction of building covenants (codified as the LPRD) that have safeguarded a peaceful and prosperous community of over 17,000 homeowners for over 60 years. o Education and School Bus expenses. • Proposed development would adversely affect public health and safety: would create dangerous traffic congestion in an area designed to accommodate single-family, detached houses. • Permitting the development of an apartment building-type structure would diminish the quality of life and property values of all adjacent and nearby properties. Town should only consider abolishing the LPRD (which it would accomplish by permitting this development) if the Town offers just compensation to all homeowners for the reduction in value of their homes. • There is no objection to development that is consistent with the requirements of the LPRD.